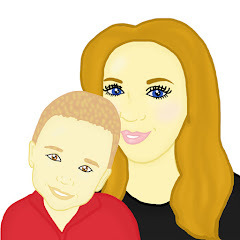 This summer Maxwell and I have written 31 activities down which we want to do together. Some activities are more complex than others however we are hoping to have a lot of fun. Each day this month I will be blogging about what we have been up to. At the end of the month we will be able to look back on all the memories which we have created. Our 1st activity was making sock monkeys together. Most people associate sock monkeys with having been made, stuffed with some sort of stuffing and then stitched and decorated however our version are much more attractive for toddlers to make and then play with after. With mummy's help Maxwell printed off the sock monkey template which you can see above. Maxwell and mummy then carefully cut the shapes from the printed template out. They then got their felt and traced around the shapes leaving the shape printed on the felt. Again carefully mummy and Max cut out the felt shapes and put them to one side. Maxwell then got the sock in front of him. Ensuring the sock heel was flat on the table Maxwell got the 2 felt eyes and started gluing them to put on the sock. Maxwell glued them down securely and then went on to glue 2 wiggly eyes to the eye felt. Working down the sock Maxwell went ahead and stuck the felt nose on to the stock. Maxwell ensured that the nose was low on the sock. Finally Maxwell got his 2 felt ears and put a slither of glue on the pointed edges of the felt. Maxwell then carefully placed the felt ears on to the sock ensuring that they had been placed straight. 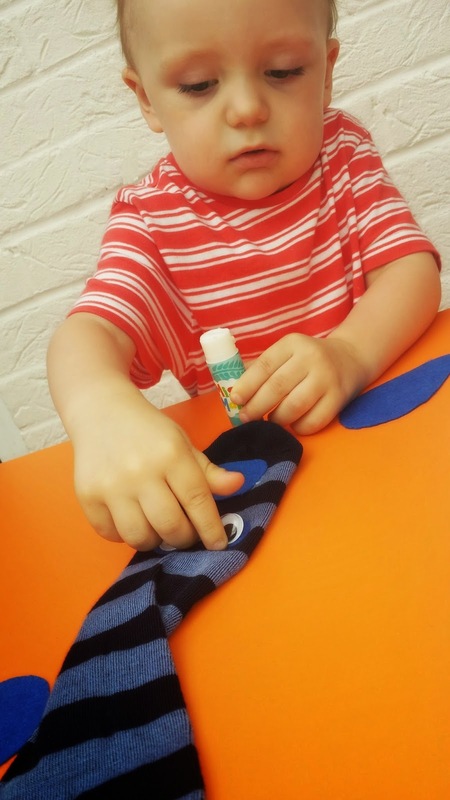 Maxwell had a fantastic time making sock monkeys and is planning on making lots more. The materials for the sock can be picked up cheaply. I would 100% say this activity is a lot of fun for toddlers and the activity does not cost the earth. The activity does not take a lot of time to do and toddlers can play with their sock monkeys after. Have you made sock monkeys for your children before? 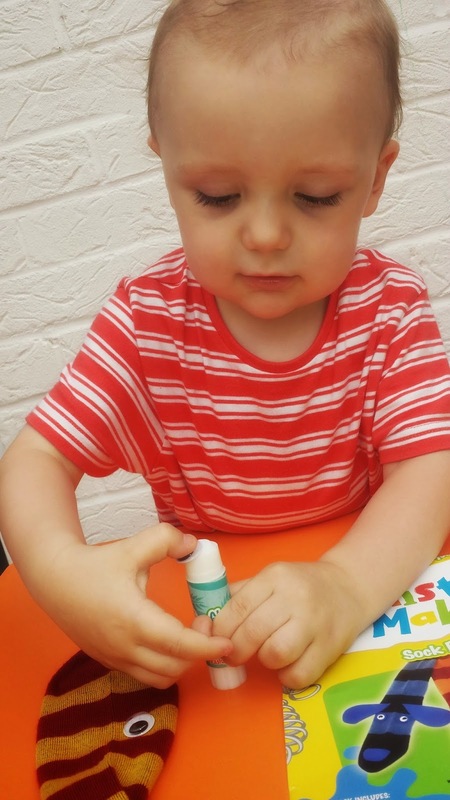 What crafts do you enjoy doing to keep your children entertained? I've not made them before - despite having a million pairs of odd socks lying around! No excuse now have I ?! These are brilliant and my children love puppets so would really enjoy making their own. Love that you're doing something every day this month - very impressive!! 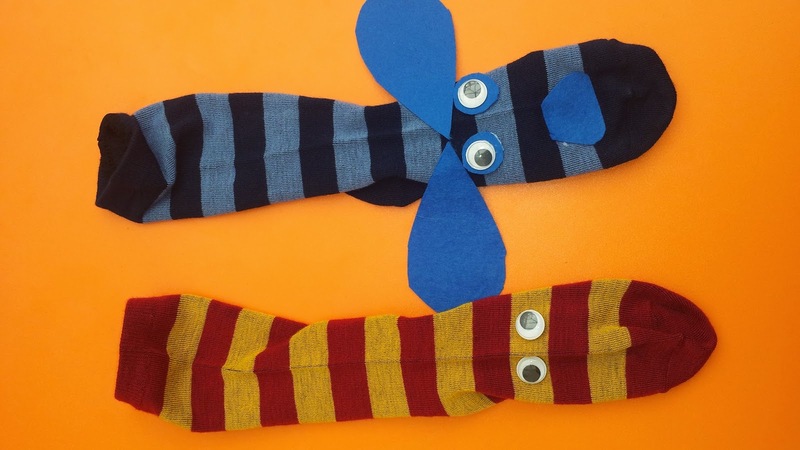 These look fab and easy to make - perfect for using up the odd socks! A great rainy day activity for using up the odd socks we all have lying around! I've never made a monkey but we made sock puppets on few occasions. They are great fun, both to make and play with. This is a great tutorial, so easy to follow. Lots of fun to be had with this! Always wondered what to do with all our odd socks - great idea!